The following guest blog post is by Mandana Mashayekhi Ghoyonloo, a PhD candidate in Creative Writing at Newcastle University. The team at Special Collections and Archives, QUB, very much enjoyed working with Mandana and are very grateful for her diligent work on the materials. In June 2018, I came to Belfast for a month under the Northern Bridge Placement Scheme to work in Special Collections and Archives at Queen’s University Belfast appraising and documenting Persian manuscripts. This journey had actually originated in June 2017 during the Northern Bridge Summer Conference in Belfast and in a workshop on Researching Archives and Special Collections, run by Ms Deirdre Wildy, Head of Special Collections and Archives at QUB. 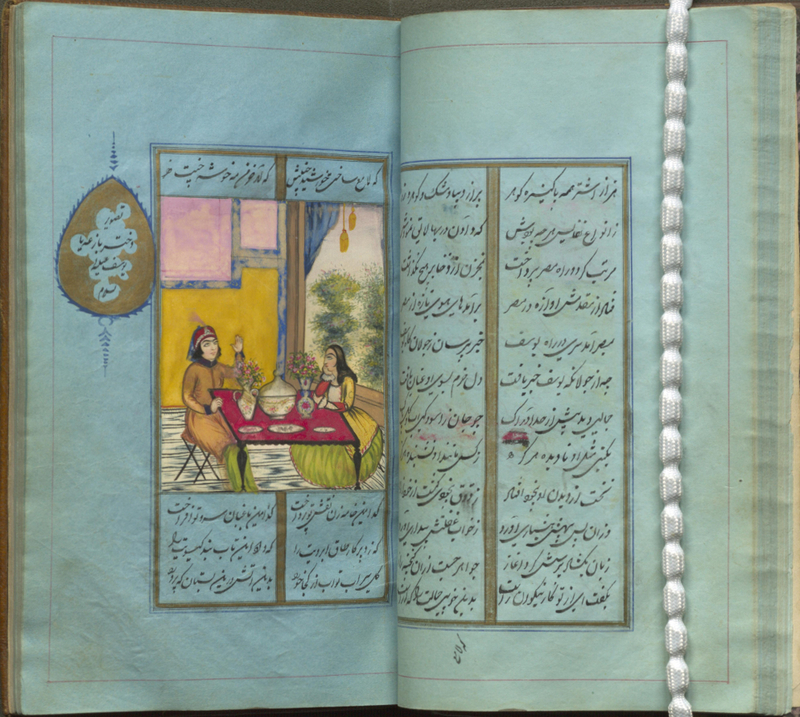 During that workshop, we were introduced to the fascinating treasures of handwritten and ancient books, including Persian manuscripts, in the McClay Library. An image from a full copy of ‘Masnavi’ – a book of poetry in six chapters by 13th century poet Rumi. The richness and diversity of the Persian manuscripts is stunning: from fables to medical treatises, from cookery books to home remedies, from Sufi texts to lyrical poems, from letters to historical texts, from works by well-known poets like Rumi and Hafiz to quite obscure writers, each box and envelope opened to read enabled the discovery and recognition of a rich feast of knowledge from the olden days. 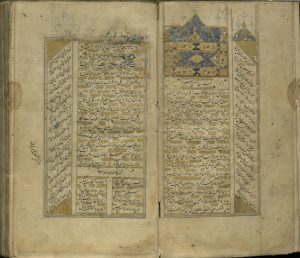 Some Arabic and Urdu manuscripts were identified as well, among them a highly decorated 19th century Quran in gold and blue Tazhib design with some notes in Persian. The pinnacle of this research was the recognition of a unique 17th century autograph by a Persian Sufi writer. A colourful copy of Yūsof va Zoleyḵā by 15th century poet, Jāmi. It contains 15 Persian miniature painting inserts. I was kindly provided with a spreadsheet and barcodes which was a very helpful system for arranging detailed information such as name of the author, title, type of book, date, number of pages, subject, barcode and notes. Moreover, I was equipped with all sorts of necessary tools, such as mylar, snake book weights, magnifiers and a PC. I wrote extensive commentaries on each book as well as on its writer and amanuensis, which was also a very helpful way of reviewing Persian literature and literary history for me. However, the process was not easy at all and sometimes I had to spend two or three hours to be able to identify a manuscript. Some books had no beginning or end, so the date of their writing was missing. 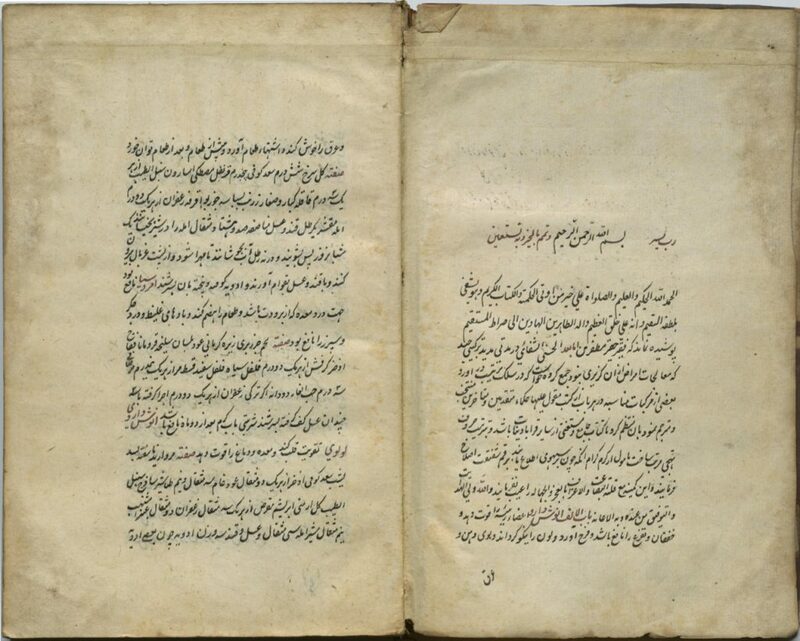 Some books, like poems by Rumi, Sa’di, Jami, famous books in history or well-known medieval medical books, were not difficult to recognise, whereas some manuscripts were written by less familiar or even quite unknown poets from India, when the Persian language was the lingua franca in the Indian subcontinent and widely used as an official language. To recognise these lesser-known writers and poets I conducted extensive online research, contacted UK and international manuscript specialists, and sometimes even read the whole book. 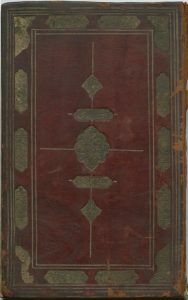 Without the generous help and tremendous support from the Special Collections team, this joy of reawakening these Persian manuscripts would have never been fulfilled. Further information about visiting Special Collections can be found here. Great to see these wonderful materials from our library displayed and their provenance explained. These materials must come from an era when Orientalist scholarship and was flourishing and texts like these were circulating in the west. Well done to Mandana Mashayekhi Ghoyonloo and Special Collections for putting this together! Many thanks for your feedback! We are very grateful to Mandana for her research and knowledge. It has allowed us to better understand and publicise this fascinating collection.